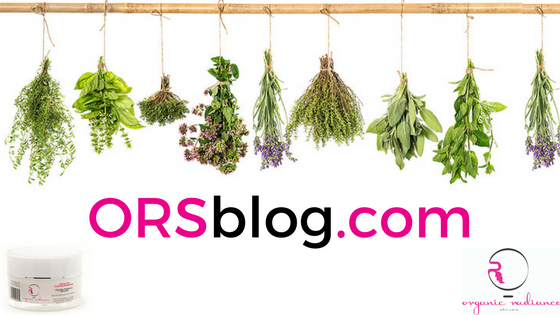 If you’re looking for natural Rosacea resources and treatments, you’re in the right place! This page is all about natural ways to reduce redness and inflammation on your face. Our founder has Rosacea and she’s done her homework on how to reduce inflammation and treat Rosacea naturally. 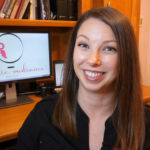 Here you’ll find links to her most popular Rosacea resources. This information is not medical advice, and you should seek treatment from a physician and discuss any changes to your skin care routine with them prior to starting. Some natural Rosacea treatments can be used together with traditional treatments for a more complete approach. Again, make sure you discuss everything you are doing with your doctor. Below you’ll find Rosacea resources, which will help you to reduce redness and breakouts. 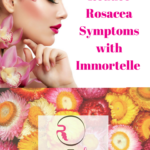 Start with reading about using essential oils for Rosacea in How to Reduce Rosacea Symptoms with Immortelle. If you’d like a summarized action plan to get started reducing your breakouts and redness, head straight to the Rosacea Cheat Sheet. If you wear makeup, check out this test of the two of the best foundations for Rosacea, according to Ulta makeup artists. If you’re not sure whether your condition is Rosacea or acne, check out Acne vs. Rosacea | Rosacea Symptoms and Care. 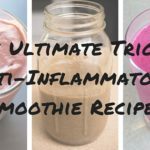 When you’re ready to kick inflammation to the curb, have some fun making The Ultimate Trio of Anti-Inflammatory Smoothie Recipes. These healthy smoothies are Rosacea diet friendly. One of our original and most popular smoothie posts is the Epic Anti-Inflammatory Green Smoothie. Get to know Organic Radiance Skincare founder Candice Betty as she shares her story about Transforming Inflammation. 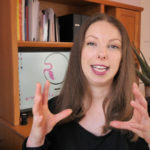 If you’d like to watch a video Interview with Organic Radiance Skincare founder Candice Betty, she explains here how her struggle with Rosacea inspired her to search for a natural solution. 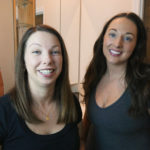 When you’re ready to gain a deeper understanding of what triggers your symptoms, download the Rosacea Food Diary Template that Candice made for herself to learn how to control her symptoms. In How to Reduce Facial Redness, you’ll get tips and tricks for calming your skin and a skin-care routine for calming redness. To read about a holistic, natural Rosacea treatment to discuss with your doctor, go to Natural Rosacea Treatment with Essential Oils and Diet.